Spain had entered the American War of Independence in 1779 and launched a campaign to drive the British out of the Gulf of Mexico overrunning the British colony of West Florida and seizing its major outposts at Mobile and Pensacola. The Spanish commander Bernardo de Gálvez planned an attack against Nassau, the capital of The Bahamas which served as a major British privateering base. 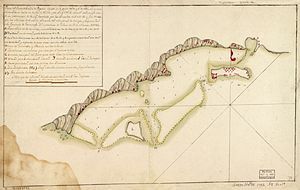 Gálvez authorised an expedition against the islands in late 1781, but this was postponed during the Yorktown Campaign which led to the surrender of a British army in October 1781. In early 1782 the scheme was revived and command of it was given to Juan Cagigal, the Governor of Havana. 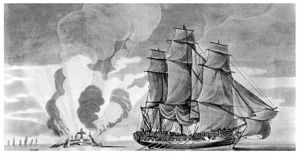 In spite of receiving orders from Gálvez to abandon the expedition scheme so his forces could be used for an invasion of Jamaica, Cagigal pressed ahead with his scheme and sailed from Havana on 18 April 1782. He had 2,500 troops which had left the garrison of Havana very low, and unable to send troops to support Gálvez’s Jamaican expedition. He had managed to secure additional ships and transport from American privateers led by Alexander Gillon. On 6 May Cagigal’s ships came into view of Nassau. He convinced the British commander, Vice Admiral John Maxwell, to surrender without opening a formal siege of the town. Maxwell offered twelve articles of surrender, a list which was mildly revised by Cagigal before he accepted the surrender. Spanish forces then occupied the town, taking the 600-strong British garrison as prisoners and capturing several ships, including a frigate. Gálvez was angered that Cagigal had not followed his orders to abandon the attack, and was also frustrated because the British naval victory at the Battle of the Saintes had forced him to abandon the planned Franco-Spanish invasion of Jamaica. Gálvez arranged to have Cagigal arrested for his alleged mistreatment of a British General, John Campbell, following the Siege of Pensacola in 1781. Cagigal was imprisoned in Cadiz and his military career was ruined. One of his associates, Francisco de Miranda, was also charged with a similar offence–which may have motivated his later career as an advocate of independence for Spain’s American colonies. Ultimately it was Gálvez who was to receive credit for the capture of The Bahamas despite the fact he had tried to cancel the project. An American Loyalist named Andrew Deveaux set forth to recapture Nassau, which he achieved on April 17, 1783, with only 220 men and 150 muskets to face a force of 600 trained soldiers. 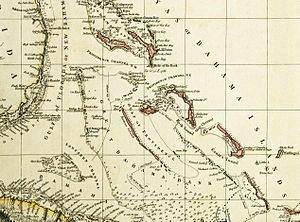 By this time, however, the Spanish crown had already recognized the British sovereignty over the Bahamas in exchange for East Florida under the Treaty of Paris.